Whenever you apply pesticides, it's your responsibility to take the necessary steps to protect endangered species that could be harmed by these pesticides. Figure 1. 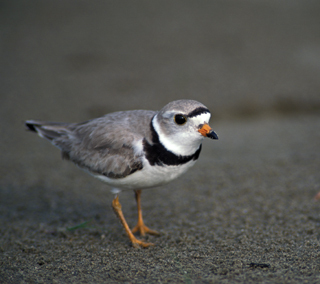 Piping plover, currently in the spotlight as one of Nebraska's endangered or threatened species. (Photo credit: Nebraska Game and Parks). The Endangered Species Act (ESA) protects plant and animal species in danger of becoming extinct. The Environmental Protection Agency (EPA), which registers pesticides, has developed the Endangered Species Protection Program (ESPP) as a way to meet the ESA requirements. The goal of this program is to manage federally registered pesticides and protect endangered species while not imposing unnecessary limits on pesticides needed for U.S. agriculture. The pesticide label is a key component to the ESPP project. Labels on pesticides that could pose a risk to endangered species will instruct applicators to follow the limits in an Endangered Species Protection Bulletin. When found on a pesticide label, these bulletins contain mandatory, enforceable pesticide use limits that must be followed. Bulletins are available online through EPA's Bulletins Live! Web site, searchable by state, county, and month of application. Bulletins also are available by calling 800-447-3813. Bulletins include information about the species to be protected, the pesticide active ingredient that could cause harm, pesticide use limits, and the valid month to which the bulletin applies. The EPA works with the U.S. Fish and Wildlife Service to determine species that could potentially be harmed by pesticides. In Nebraska, the NDA Pesticide program has focused its efforts on three plants: the blowout penstemon, the western prairie fringed orchid, and the Colorado Butterfly plant; two birds: the piping plover and interior least tern; and an insect: the American burying beetle. For more details about Nebraska endangered species and protecting them from pesticides, see the UNL NebGuide Pesticides and the Endangered Species Protection Program (NebGuide G1893).